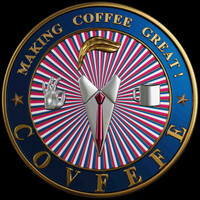 Contact COVFEFE: Making Coffee Great! Thank you for your interest in investing in COVFEFE: Making Coffee Great! We are strong but together we are stronger. The corporate world is alienating large segments of the American population with more bold and conflict seeking agendas. The corporate hegemony in our economy props up their ability to focus on Social Inquisition. The corporate world is a major threat to the interests and traditions of America. The economy of scale of the Corporate world to COVFEFE is obviously staggering, and yet we accept the challenge to take back our country. If our values and mission statement are something you want to invest in please fill out the form below.